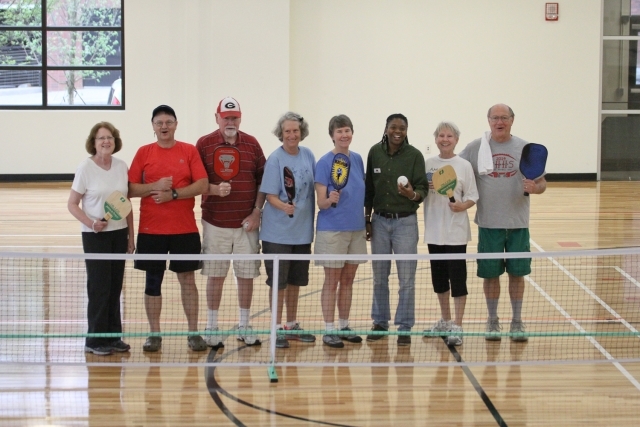 Pickleball, a sport that combines elements of badminton, tennis, and ping pong, is picking up fans in the city of Decatur (GA). Langley said she played pickleball in college and when she started working with the city about a year and a half ago, she wanted to bring it to Decatur residents. She applied for and received a grant from the USA Pickleball Association which sent two free nets. Now residents can play for free at the Ebster Recreation Center Wednesdays from 2:30 p.m. until 7 p.m. It’s free for residents and costs $3 for non-residents.